Jana Sena Formation Day Celebrations are going to happen at the ground opposite Acharya Nagarjuna University in Guntur on March 14th, 2018. Four lakh people are expected to attend this public meeting. 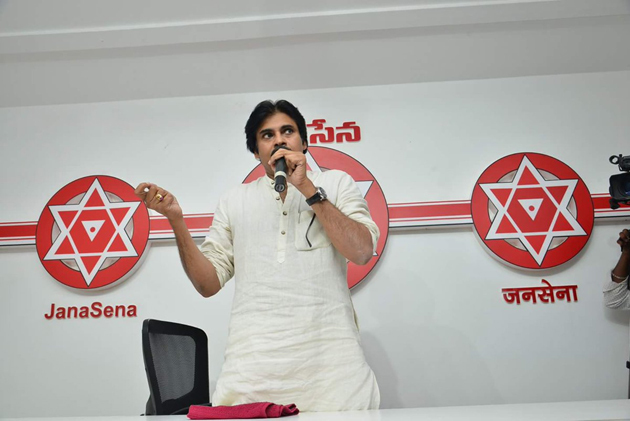 Pawan Kalyan has been monitoring the arrangements of Today's meeting. He offered few suggestions to the fans and party workers on the manner in which they need to conduct themselves for allowing the meeting to happen smoothly.